Wow. What a stunning steelbook set this is. 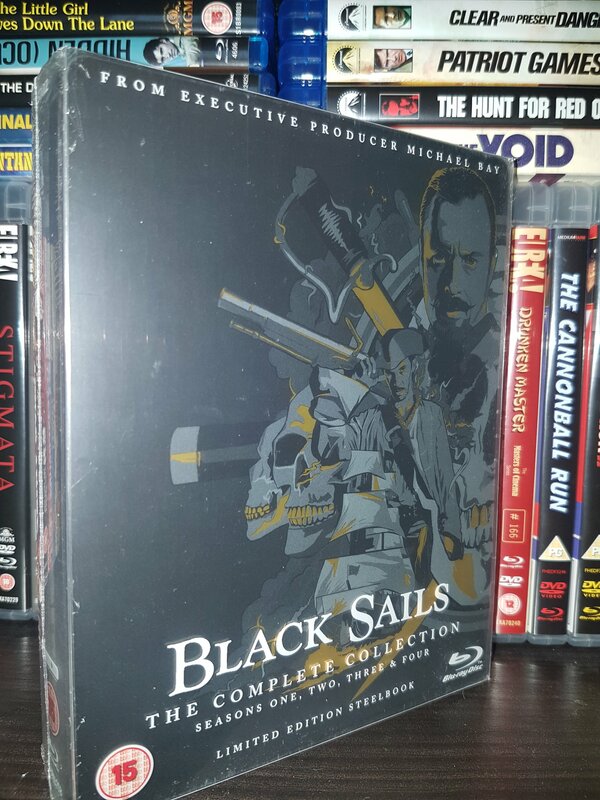 Coming in two separate steelbooks, each one containing two seasons, this is a magnificent set that would be a treasure in anyone’s collection. 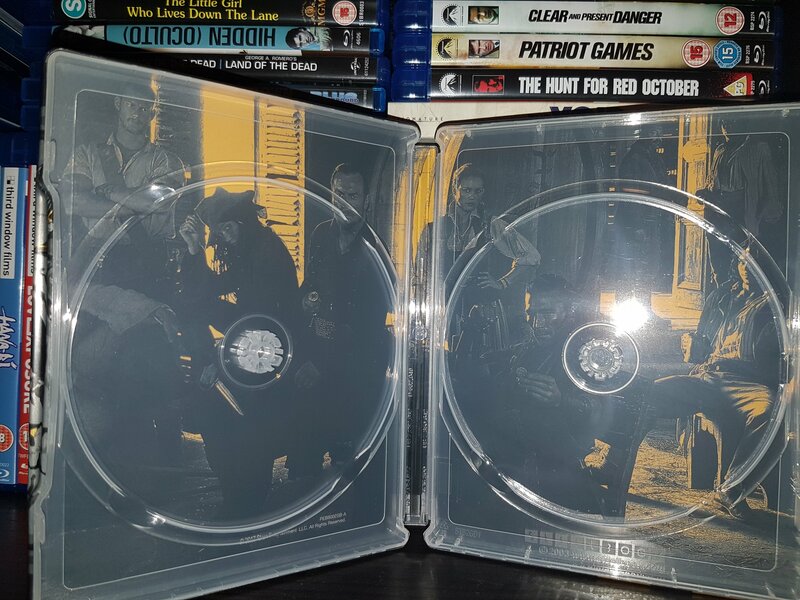 Housed in a lovely plastic slip cover, the steelbooks are glorious to look at, the artwork alone has been lovingly applied and advertises that there are over 100 minutes worth of extras to indulge in after you have binged all four seasons. 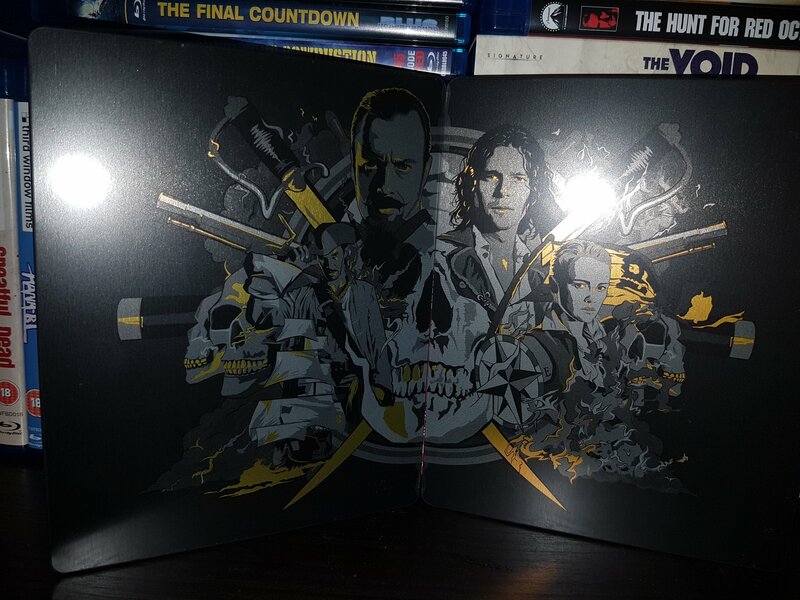 Out of the slip case, the steelbooks come together to form an amazing piece of art, detailing several characters, ships and of course pirate skulls. 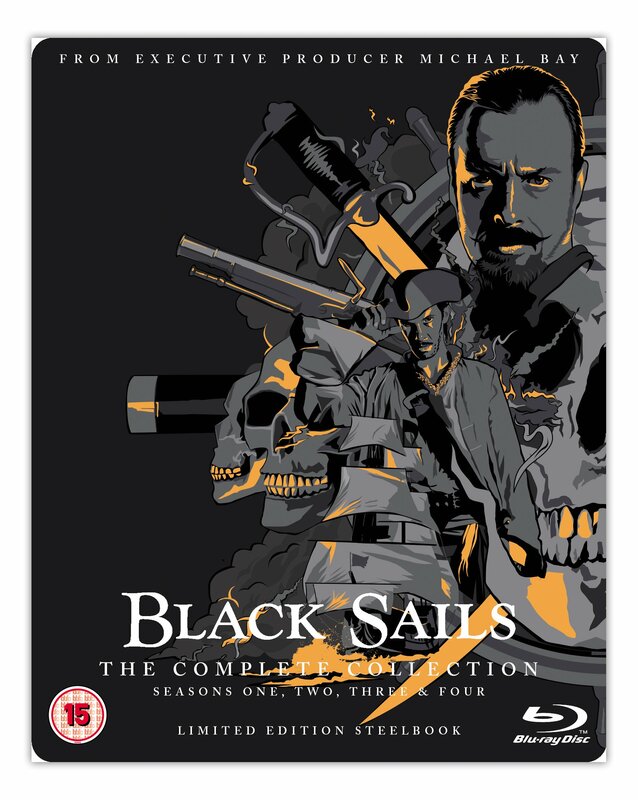 The likeness of Toby Stephens is really well captured, I would love to have something like this on my wall. 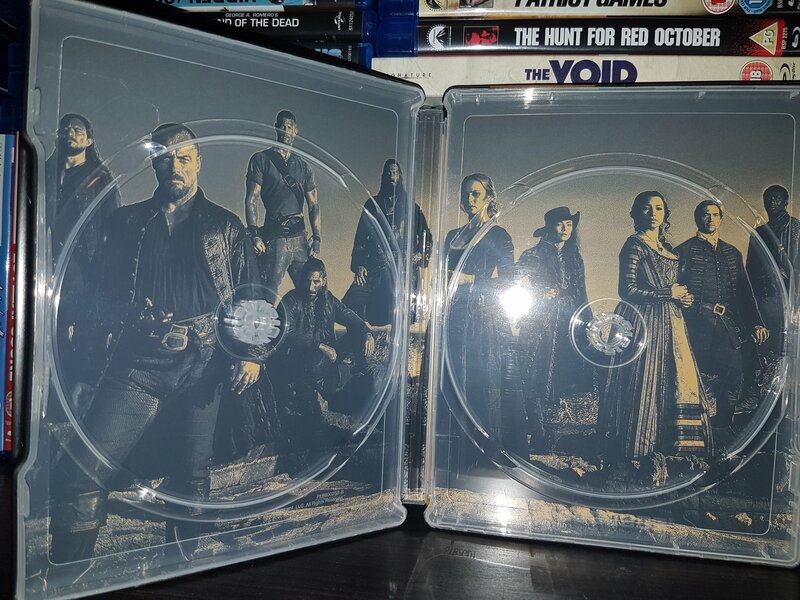 The rear of the steelbooks also form a piece when joined together. Okay, not as impressive as the art on the front, but nice to look at all the same. The interior artwork of the first steelbook is mightily impressive however. Showing the characters relaxing and looking suitably moody, it is striking stuff. Black and gold being the only two colours used to bring it to life. 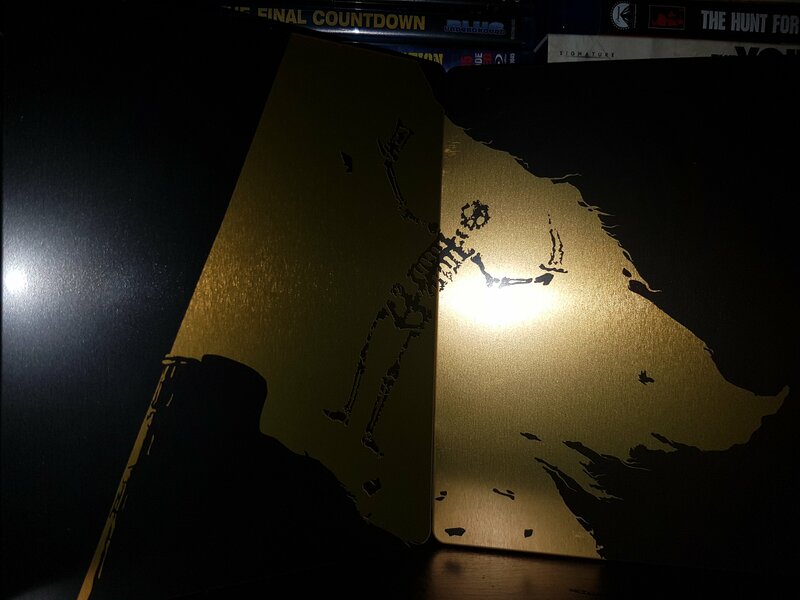 The art inside the second steelbook is just as good. This one is a bit lighter in tone, utilising a grey and gold look, it resembles a photo from the 19th century and looks amazing. All of the art would make great posters to be framed.